We are UCF. We speak with one voice. Our brand is more than a logo. Our brand is everything we say and do — and how we say and do it. Managing the perception of millions is no small task. It’s a big job and everyone who speaks for the university plays a crucial role. These guidelines will help you do just that. They’re a standard to rally around, a foundation to build upon and a source of inspiration. 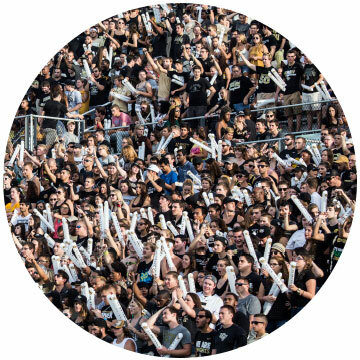 We are all keepers of the brand and it is our collective responsibility to use these guidelines to help share — and strengthen — the UCF story. We’re hungry and growing, with something to prove. We are not bound by 200 years of tradition. We think differently. We’re a new kind of university, the progressive disruptor of higher education in America. 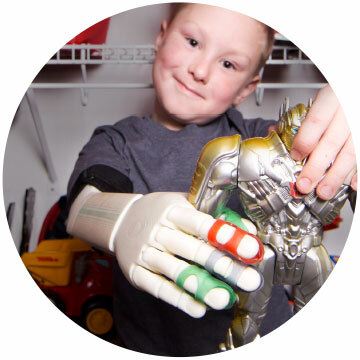 Our community of thinkers, helpers and makers pushes boundaries and shifts paradigms to solve big problems. Because a great university can unleash massive potential to change the world — and we’re all in this together to make it happen. 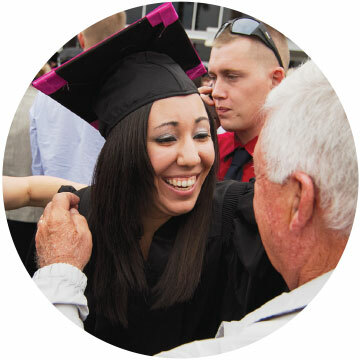 Access — Providing more opportunities to people of any age who might not otherwise have access to earn a high-quality college degree. 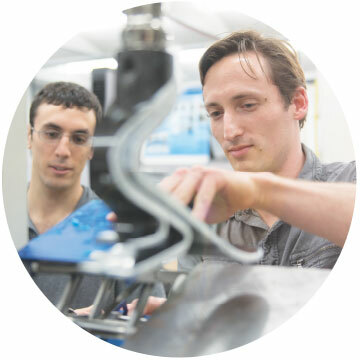 Innovation — Attracting thought leaders from around the world to conduct innovative research on our campuses. Impact — Creating a positive, lasting impact on the Central Florida community and the world beyond. 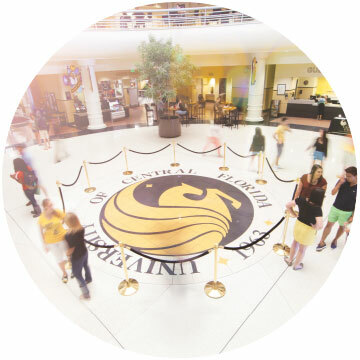 The UCF brand is about the outcomes of our students, our impact on the world and our distinctiveness in the marketplace. Our brand should be visible and consistent — from our publications, to our actions and our physical spaces. We are here to make a better future for our students and society. And we won’t be successful without a lot of us working together, and more of us living up to our full potential. At UCF, we know everyone has potential. And when more people unleash their full potential, anything is possible. We believe success can only happen when we expand opportunity and demand excellence. We believe if there’s a better way, we should do it. We believe innovation comes from the meeting of diverse viewpoints. We believe none of us is smarter than all of us. Making the world a better place is a big job. It requires a big university. We attract and cultivate exceptional and diverse students, faculty and staff whose collective contributions strengthen the university. When we unleash their full potential, amazing things happen. Our success is no secret: Innovative academic, operational and financial models that are transforming higher education. By creating partnerships at every level that amplify our academic, economic, social and cultural impact and reputation, we create common goals and common ground both locally and globally. 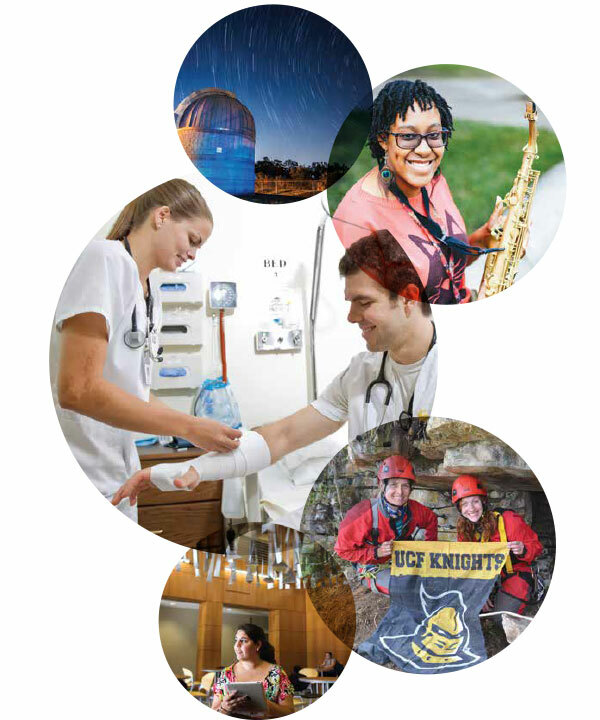 Harnessing the strength of our numbers and combined abilities empowers UCF to transform lives and livelihoods. Our responsibility and commitment is to deploy our distinctive assets to solve society’s greatest challenges.